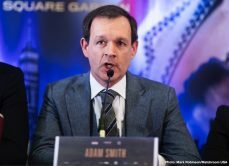 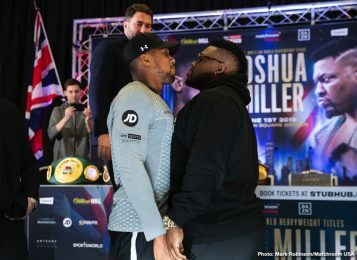 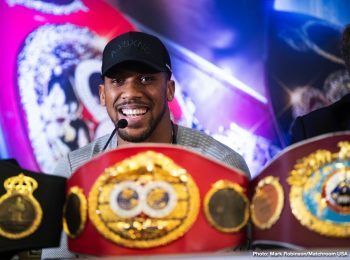 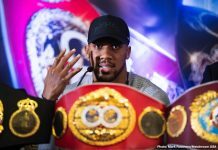 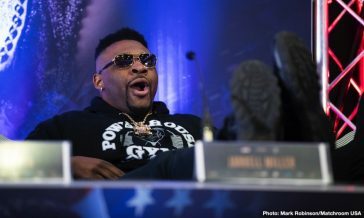 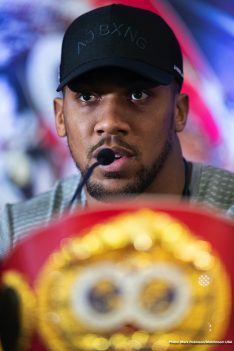 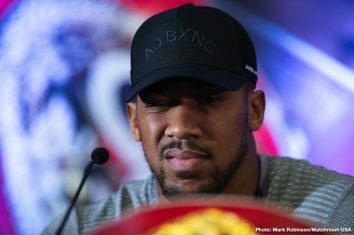 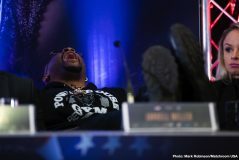 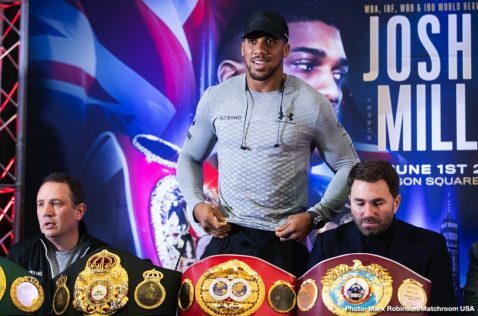 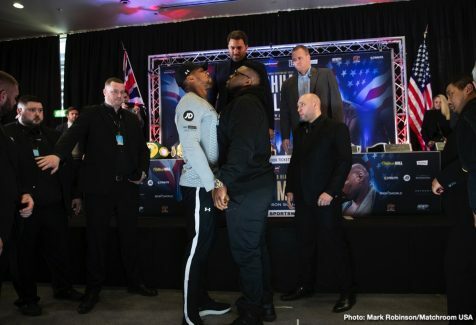 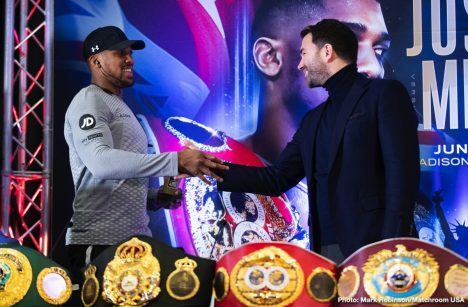 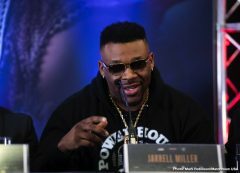 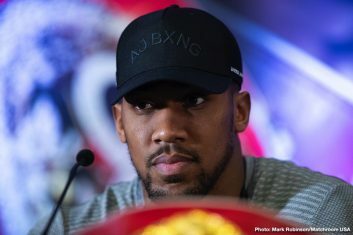 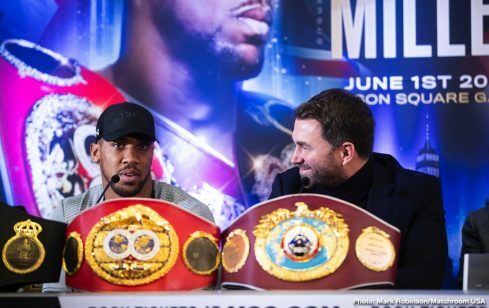 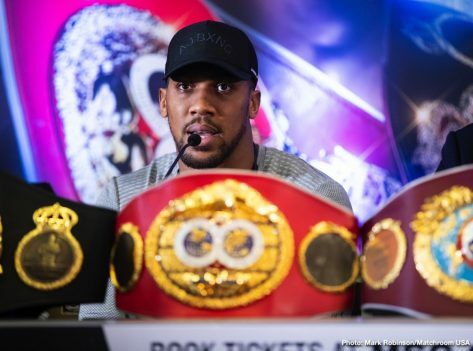 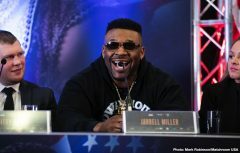 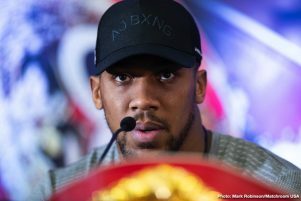 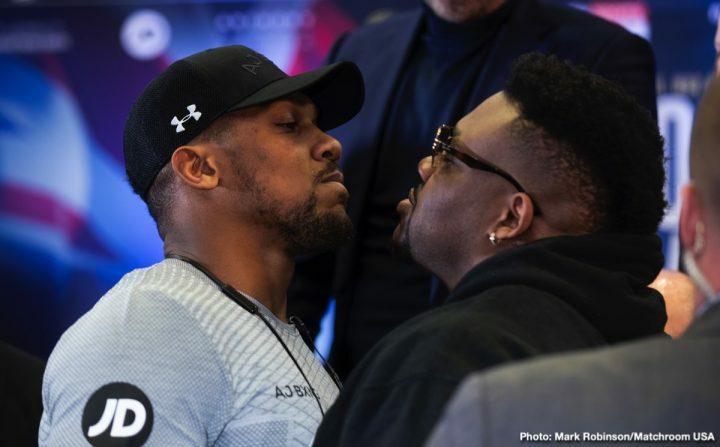 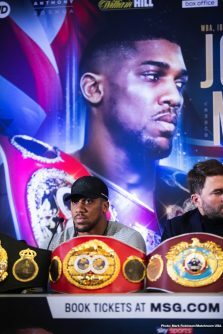 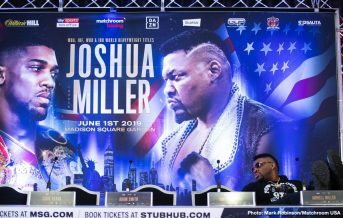 In a press conference on Monday afternoon, DAZN and Matchroom USA gathered across the pond in London to formally announce the United States debut of Anthony Joshua who will defend his WBA Super, IBF, WBO and IBO World Heavyweight titles against Brooklyn’s Jarrell ‘Big Baby’ Miller at Madison Square Garden on Saturday June 1, live on DAZN. 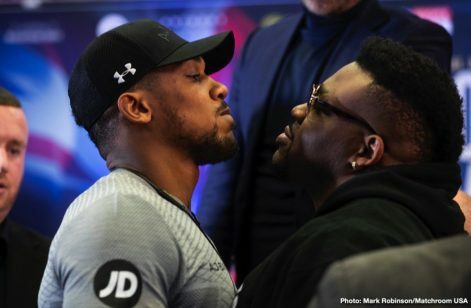 “You know I come from a great family, my mother raised me well, my father raised me well, my aunts and uncles, my brothers and sisters, we all look after each other. 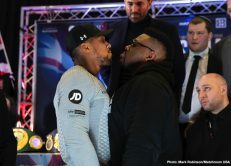 My cousin was fighting at the time, I got banned from where I grew up, got in too much trouble, and moved out of the area. 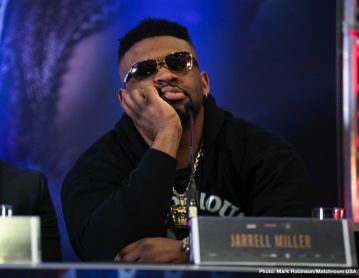 I sat down in boxing because I used to drive my cousin and I was making money, had the car back then, and I used to sit back and think that looks easy. 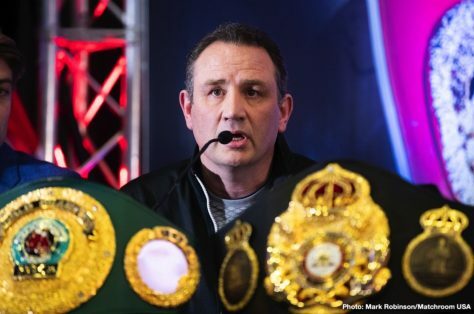 He lent me 35 pounds, about 25 dollars, I went to buy boxing boots and he gave me some shorts. 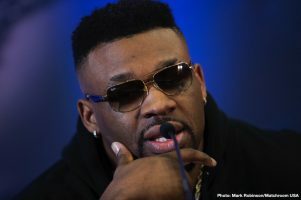 I started training, I got beaten up a bit, I beat a few people up, and from the point forward I realized do I want to smoke and drink? 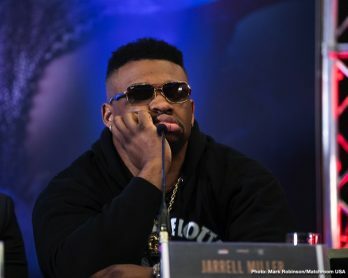 Face the verge of jail or do I want to focus on boxing? 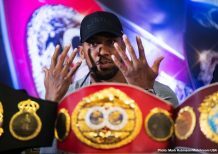 If you look at the state of my hands, this isn’t from boxing, this is from street fighting, so I realized I was getting in trouble for fighting in the streets and getting patted on the back for boxing, so I started boxing. 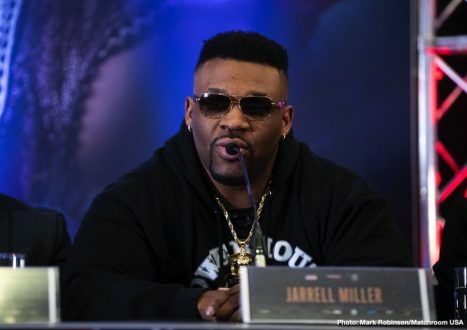 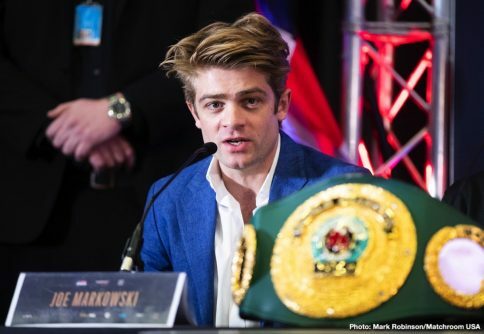 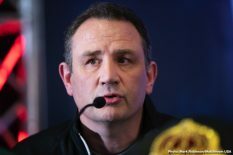 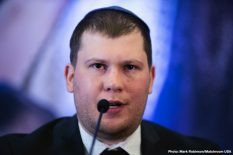 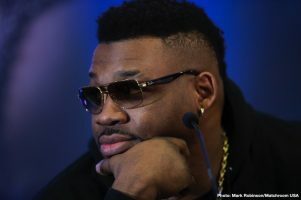 Boxing to me isn’t about Jarrell Miller, it’s not about Tyson Fury, Dillian Whyte, it’s about me – what does it make me, as a person. 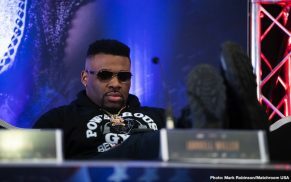 I changed my life style around, my family’s life style around and we’re impacting the community. 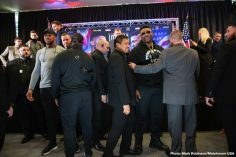 All my friends over here, we have some great plans for the community, and that’s what impact means to me.